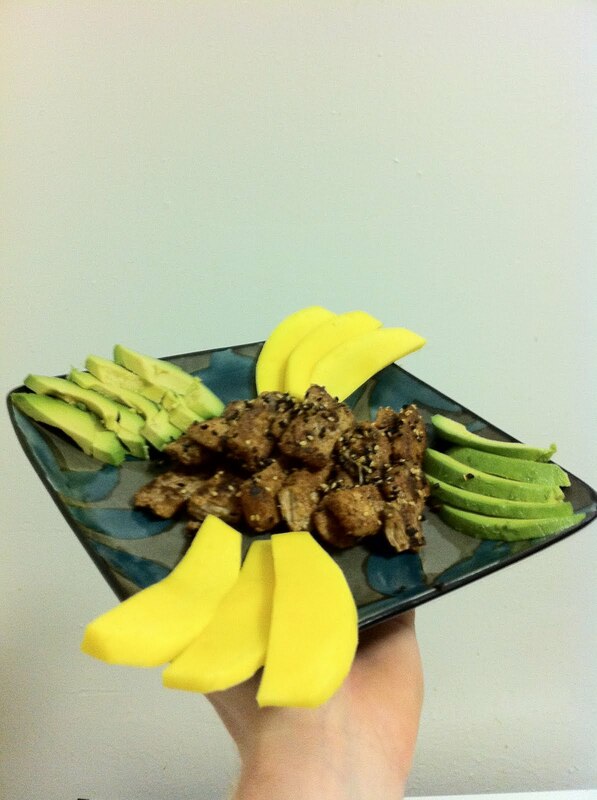 For a while now I've had an idea in my head about seared strips of tuna. This isn't that idea, but it's the first experiment toward it. Right up front I'll say the accompaniments were improvised, but in the right direction and the tuna should be of a higher, sushi quality seared at a higher temperature for less time. 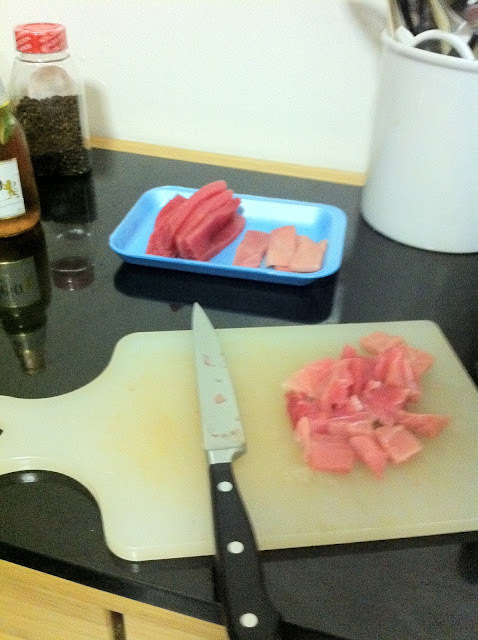 Here I trimmed down a tuna steak to the best parts. This definitely requires a higher-grade of tuna, preferably something that wasn't still frozen this morning. That way the strips won't be quite so rough in places. 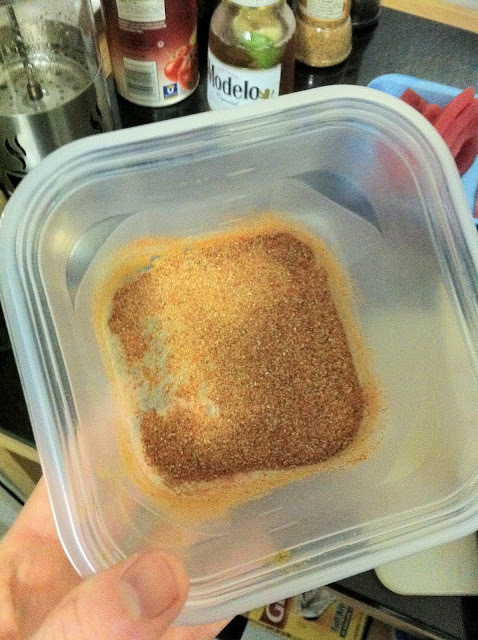 This is a mixture of extra hot Indian chili powder, cumin, coriander, and salt. The chili powder overwhelmed the other spices, so I can cut back on that. Here's one shot of the final dish. The avocado was perfect, but I really need a better-quality mango as this wasn't the sweetest it could be. The tuna came out tasty, but not quite how I want. The sear really ended up cooking it through. In itself not bad, but not what I was going for with this dish. As well the coating of sesame seeds didn't stick evenly, though I didn't want to cook them on the tuna as they'd get burnt. 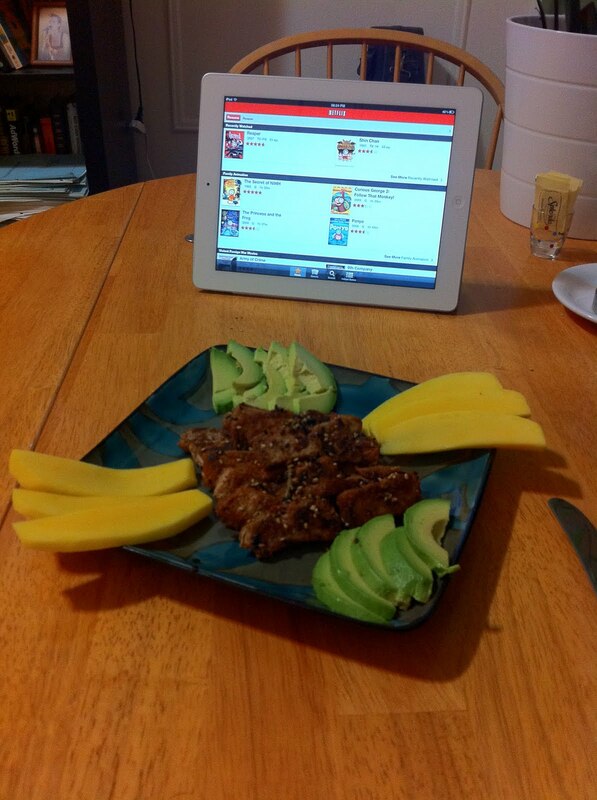 Next time I'm going to try halving the extra hot chili powder, better tuna, and a little more sesame oil. I also think an acid needs to be in this dish to break down and cut through some flavours. Your soundtrack for this entry: Aesop Rock - Save Yourself.